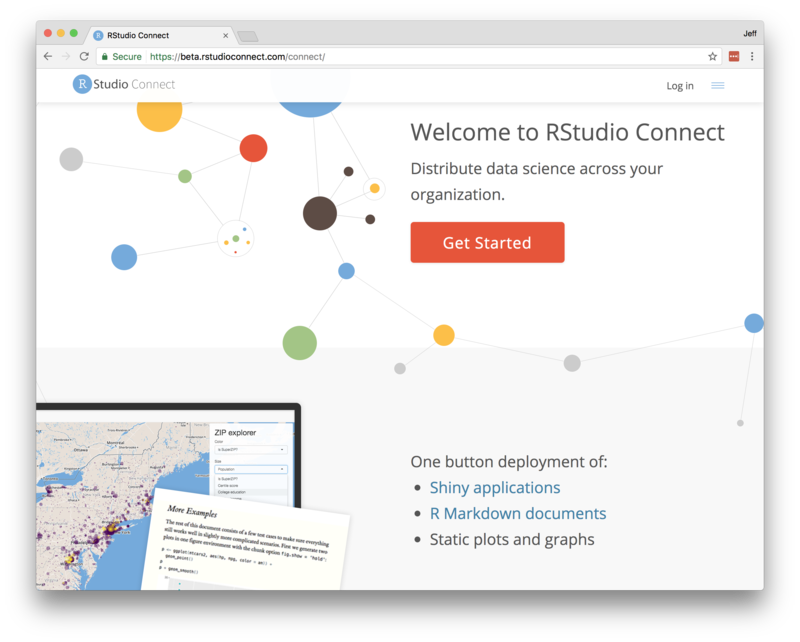 We’re excited to announce a powerful new ability to organize content in RStudio Connect: version 1.5.0. Tags allow publishers to arrange what they’ve published and enable users to find and discover the content most relevant to them. The release also includes a newly designed (and customizable!) landing page and multiple important security enhancements. Tags can be used to manage and organize servers that have hundreds or even thousands of pieces of content published to them. Administrators can define a custom tag schema tailored to their organization. Publishers can then organize their content using tags, allowing all users to find the content they want by navigating through the tag schema. The default landing page has been given a fresh look. Even better, administrators can now customize the landing page that logged out users will see when they visit the server. More details here. This release includes multiple important security enhancements, so we recommend deploying this update as soon as possible. Specifically, this release adds protection for cross-site request forgery (CSRF) attacks and fixes two bugs around account management that could have been used to grant an account more permissions than it should have. These bugs were identified internally and we are not aware of any instances of these issues being exploited against a customer’s server. [Authentication].Lifetime can be used to define the duration of a user’s session (the lifetime of their cookie) when they log in via web browser. It still defaults to 30 days. Servers configured to use password authentication can now choose to disable user self-registration using the [Password].SelfRegistration setting. By default, this feature is still enabled. Added experimental support for using PostgreSQL instead of SQLite as Connect’s database. If you’re interested in helping to test this feature, please contact support@rstudio.com. Added support for the config package. More details here. Formally documented the configuration settings that support being reloaded via a HUP signal. Settings now mention “Reloadable: true” in the documentation if they support reloading. If you’re upgrading from a release older than 1.4.6, be sure to consider the “Upgrade Planning” notes from those other releases, as well.